The fruit diet can be sorted in the category of fast diets and lasts five days. Because of the low amount of calories that fruits contain, and on the other hand a high quantity of minerals,vitamins and antioxidants, they are ideal for loosing weight and cleaning the body from pilled up toxins. The base rule which we must hold on to is that the fruit diet lasts exclusively five days, in order to be healthy and not counterproductive to your body, therefore we need to take in a minimum of 1200 calories during the day for the next five days which is the whole duration of the diet. Instead of veal you can consume 100 grams of fried or cooked white chicken meat or 100 grams of fish. low calory fruits and pay attention to the time span between meals which must be atleast two hours. As it is with this diet and any other diet for loosing weight, the results vary from person to person. Nutritionist point out that a diet based solely on fruits isn't healthy at all because of the low intake of proteins which are badly needed in our body. actor Ashton Kutcher who for the role of Steve Jobs went on the fruit diet. He based his menu only on fruits and therefore ended up in the hospital, he later addmited that he isn't proud of that event, this proves the above mentioned statement. If you extend the fruit day day for another five days (10 days total) you might be able to loose anywhere between 5 to 7 kilograms. The best results are achieved after the third day, when you loose the most weight. 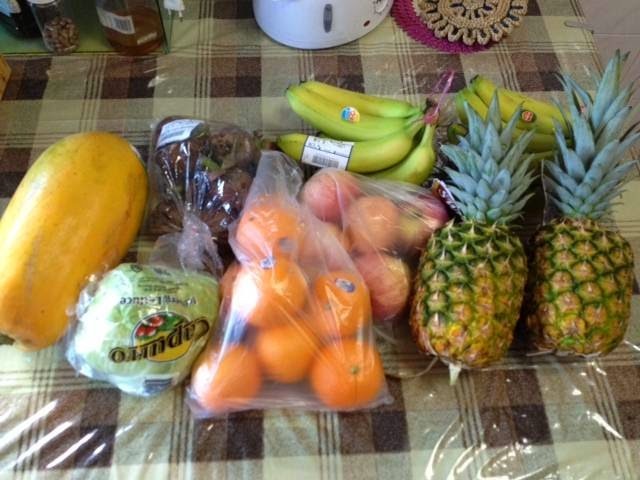 Also our recommendation is a three day fruit fast which you can do several times through they year. It strengthens your immune system and is a good way to detox your body. This diet and many others should be done along with some regular physical activities.